For a brand with as many thoroughbreds in their athlete stable as The North Face, their trail shoes have long suffered a reputation of being heavy and clunky. 2018 will see a large overhaul of TNF’s trail running shoe line, with a renewed focus on light weight and high performance. The Flight RKT shoe was developed in collaboration with Rob Krar – the name is a mashup of the initials of “Rob Krar” and “Fastest Known Time” – and is a sleek model designed for fast training or race efforts. 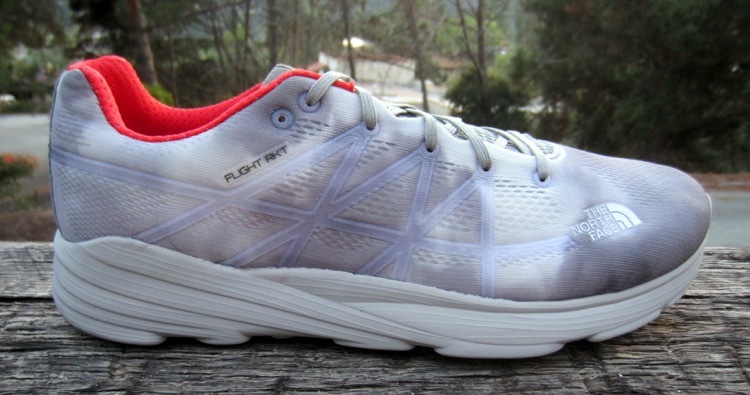 The Flight RKT shaves weight pretty much everywhere imaginable, but supports high intensity efforts through its newly developed FastFoam midsole system. This is a dual-density “bathtub construction” method with a thin layer of soft EVA material at the core, surrounded by high resiliency EVA underneath and around the perimeter to maintain a stable shape and consistent response. This FastFoam will be used on other TNF models moving forward, which will decrease the weight of some base models by several ounces. 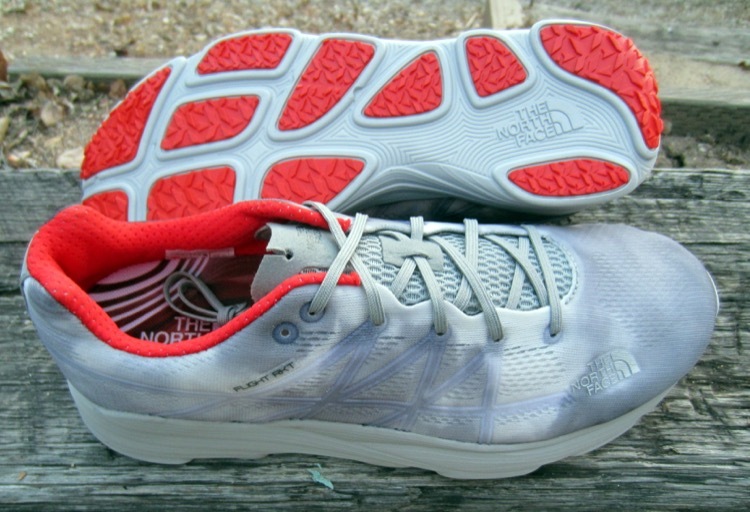 Also, note that the heel/toe specs for this shoe are given as midsole heights; the true stack height of the Flight RKT is probably 3-4mm higher in both regions, with a heel-toe drop of 8mm. Above the midsole is a super thin and lightweight engineered mesh upper that has excellent ventilation and dries very rapidly. It is anchored to the midsole by a thin TPU cage overlay that connects into the lace system for solid midfoot lockdown. The tongue is completely unpadded, just a layer of mesh with a synthetic outline, and we found that it has a tendency to curl up at the base of the tongue when you’re putting the shoes on. Once the tongue is smoothed out, it’s held in place nicely by the thin lace system. The last is a true medium width; not truly wide enough for full toe splay, but it shouldn’t cause constriction for most users. Another innovative development with the Flight RKT is the outsole, with very shallow lugs that seem more suited for road running. The idea is to simultaneously shave weight while providing extensive surface area for ground contact and stability, but allowing flexibility through an independent “podular” layout of the outsole units for improved agility at high speeds. 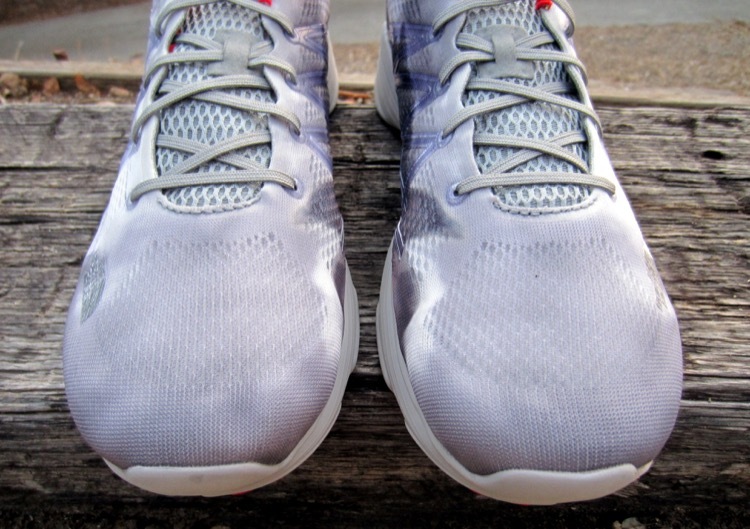 The pods move independently as advertised, and the ground traction is better than you would expect – but we’ve only logged limited miles (about 50) in our test samples, and already see some deterioration of the outsole lugs, which may be a key factor in the next item below. The primary caveat to keep in mind with the Flight RKT is that it is NOT a high-mileage trainer; The North Face estimates that the life span for this shoe will be in the 150-200 mile range. Its primary purpose is to be your special occasion shoe for racing or fast sustained efforts; if you can get three or four good trail PRs out of it, the Flight RKT has served its purpose. The price point is on the steep side for a shoe with such a narrow use profile, but if you live to race the clock, it might be a worthy investment. The North Face Flight RKT is available in February 2018 for $150 from www.thenorthface.com. Paying approximately $1/mile for this shoe. No thanks. Then these aren’t the right shoes for you. Just like super high performance tires, these are aimed at trading durability for all out performance…it’s not for everyone.